As the old saying goes, there are two certainties in life: death and taxes. Now you can add another to the list because, as sure as autumn comes each year, so does the latest instalment of the FIFA. 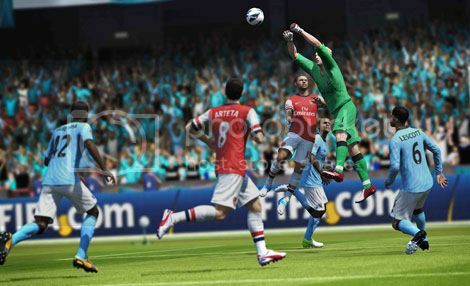 Check out Matt Langham's comprehensive review of EA Sports latest offering. As the old saying goes, there are two certainties in life: death and taxes. Now you can add another to the list because, as sure as autumn comes each year, so does the latest instalment of the FIFA series, this being the 20th for those keeping count. Its enduring popularity, one that eclipsed main rival Pro Evolution Soccer some years ago, ensured that EA Sports could comfortably afford to tinker with the title annually, sit back and watch the sales soar. Yet now that Konami’s PES is closing the gap again in terms of playability, if not in exhaustive official support and endorsement, FIFA has its work increasingly cut out. Shifting a mind-boggling 4.5 million copies in its first week of release in the UK shows its popularity isn’t exactly waning, and such staggering numbers are bound to put a smile on the face of EA’s accountants. Yet, as we all know, quantity does not equate to quality, so the most important question remains whether there are enough improvements from FIFA12 to help the series retain its footballing crown. 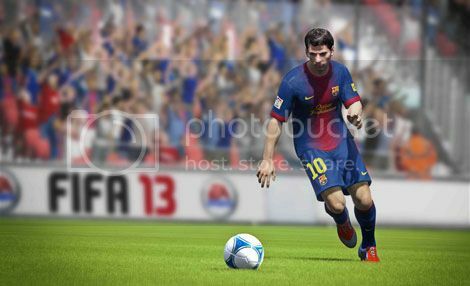 A lot is trumpeted in terms of gameplay improvements by EA Canada, who have developed the series for some years now. Chief among them is the refined First Touch Control element which makes poor passes harder to take cleanly, and is further based on factors including positioning, defensive pressure and a player’s relative skill level. It’s meant to lead to more realism and unpredictability in matches and certainly delivers on the latter - it can often be simply frustrating, neutering promising attacks and impacting of the fluidity of the game’s experience. As realistic as it might be, and as clever a feat it may have been to design and implement, sometimes we just don’t want that unforgiving element to seep into gaming - mindless escapism can be just what’s required, or else we’d all be down the park ourselves for a kick about. Yet, whilst it’s a definite irritant and you’ll notice it a couple of times per match, it’s thankfully not a total deal breaker, more a misstep. In other refinements, the AI has also been bolstered, meaning teammates make more - and more effective - runs forward, often timing and curving them to stay onside. This is actually a big help, opening up attacking options, boosting the fun factor and giving the game more flexibility as you often feel like moves can either evolve slowly with patient passing or you can adopt a more direct style, leading to a giddy head rush as your team piles forward on the break. Finally, dribbling has had a slight makeover, with three types now included. If anything, the emphasis does seem to be slightly weighted to running with the ball rather than an outright passing game, and its effectiveness leads you to either isolate and outfox a defender or try to breeze past him, with the steady console programming being more robust at stopping this as opposed to the hell-for-leather online play, where people normally dive in. These three main changes are really only tweaks to the core game engine and don’t comprise a wholesale shift - in footballing parlance EA are parking the bus and not risking the loss of alienating their massive market. It’s not a patch on the last real and seismic renovation which came a year ago with the decision to revamp defending, abandoning the heavily assisted pressing game to force the player to be more hands on, focussing on positioning and containment (with buttons moved around to boot). This put a load of noses - your humble reviewer’s included - out of joint, but its retention makes it clear it’s here to stay, so those who skipped FIFA12 on that basis and are keen to return for a footballing fix will have to make do. It still takes some getting used to, and also emphasises the effectiveness of running with the ball as team organisation takes more thought and practice at first, but there are no adjustments of similar magnitude to make this year, despite the clunkiness of the First Touch Control. Then again, and in all fairness to EA Canada, the balance has been right for a while now, so they can be excused for not really messing with a largely successful formula. 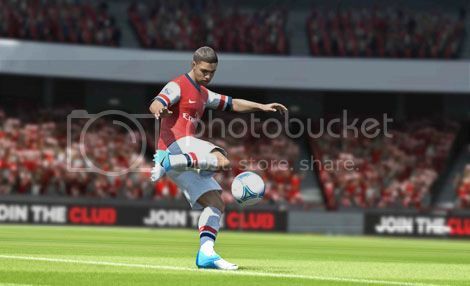 Otherwise, the player Impact Engine and ball physics do seem to have been given increased elegance. Neither are as haphazard as before and increase realism - the referee can still get in the way and an agricultural ball up field can find your attacker on his backside having come off second best with a robust centre back when the screen catches up. This brings a new level of immersion and excitement - goalkeepers tend to parry shots more, leading to frenetic goalmouth scrambles, and deflections and blocks are often crucial - you may well score that elusive and much clichéd goal off a striker’s backside. One of the bigger changes in content is actually a fairly understated one and comes in the introduction of the Skill Games. A nice new touch, they begin as essentially mini attacking tutorials (the more prosaic “run and tackle that man” defensive ones are also included) and see you work your way through increasing levels of difficulty, passing bronze, silver and gold levels for 8 different disciplines - penalties, passing, free kicks, shooting and so on - using any player of your choice, with the ultimate aim of unlocking a final skill game. The one for penalties sees you frantically taking spot kicks at a goal stuffed with cardboard boxes for 2 minutes, scoring points for the more you hit directly and with a higher scoring one in each corner of the goal, as the keeper tries to keep you at bay. Once they’re all gone they reappear, and you continue to hammer the ball with increasing desperation and lack of poise as the clock ticks down. One mistake is often costly and frequently a wonder save will deny you a new record score in the final few seconds. It’s ruthlessly addictive, as most of them are, and they fire up, selected at random, to cover pre-match loading times. In fact, they’re so compulsive that you’ll often find yourself delaying kick off to try to nudge your score nearer to that enviable world class rating. There is an almost bewildering array of game modes, catering for pretty much any approach to the beautiful game that you can imagine, and most of which have online play to boot. Thankfully, on screen tutorials and avuncular voiceover from the ubiquitous Martin Tyler explain new features the first time they’re accessed. Seasons is the hub for general online play, with opponent matching and connection dropping as big a problem as ever, one that EA are seemingly unable to get a grip on. The rejigging of the format requiring you to reach a certain number of points within a certain number of matches to increase your level has a limited impact as people can often still try to ruin games, even when their longer term rating and progress is at stake. Still, when it works and you get a good opponent it remains compelling, as reliably frantic as ever. Career mode is pretty much unchanged but for a bit of a redesign and the inclusion of international teams, meaning you can now work your way up as a player (real or virtual pro) or manager to the dizzying heights of your chosen national team, competing in major tournaments, assuming you qualify. Fixtures and results are now read out before and after games, giving a nice little impression of immersion as you listen out for your club’s fortunes. Ultimate Team - the trading cards game meets football management sim meets FIFA mode favoured by many - is back, and wheeling and dealing online in real time to secure that perfect player to improve team chemistry is as addictive as ever. Bonuses for Manager Tasks are included - a culmination of smaller ones that are highly rewarded - and again the interfaces have been given a polish, though they are a little laggy. The real innovation though is the EA Sports Football Club. Essentially a central online hub, it houses challenges based on real world game scenarios, completion of which - along with pretty much anything in the game, even starting it - gains you XP. This is pooled and allocated to the real world club you support, with all clubs organised in leagues involving promotion and relegation. The XP also translates to a FIFA currency, spent on a host of in-game improvements: new celebrations, kits, balls, extra Seasons matches to assist levelling up, Virtual Pro improvements and so on. You can also track friends’ progress in the game - a news feed constantly updates with their achievements and results. It’s a much needed tool to weave the myriad game modes together, and gives a sense of a community and constant link to the real world. As ever, the official endorsement and presentation is unrivalled. Exhaustive isn’t the word for official league support - there are now 30 from around the world, a healthy complement of international teams and 69 stadia - but EA’s focus is really on England. Updates ensure that squads are constantly up to date along with, for the Premier League, which in turn affects player ratings and stats. In game commentary from Martin Tyler and Alan Smith is varied and extensive, with quieter passages of play covered with discussions of the recent real world fortunes of the clubs in action (though as a Wolves fan I didn’t particularly enjoy being reminded of our capitulation in the Premier League last year). There are even touch line injury reports from Geoff Shreeves and score updates from the ever-excitable Alan McInally. Music ranges from having estimable indie cred (Django Django and Metric) to the utterly execrable (Wretch 32, The Enemy) but, thankfully, you can customise playlists as in previous versions. The inclusion of Kasabian’s Club Foot means that, never mind FIFA, everything combines to feel like a Sky Sports game. Yet, when it comes down to it, FIFA13 is only really an upgrade rather than a true sequel, its unrivalled depth mirroring our obsession with the national game. EA know that an annual re-release with squad updates would normally be enough to guarantee sales, but now that these are in-built it’s interesting to imagine what they’ve got up their sleeves for next year. Still, FIFA13 is a slow, but by no means un-compelling and absorbing evolution in the quest for footballing perfection. With the sport, industry and our appetite for every element of it showing no signs of slowing, we’ll be back again next year.